A summer’s day in Boise. 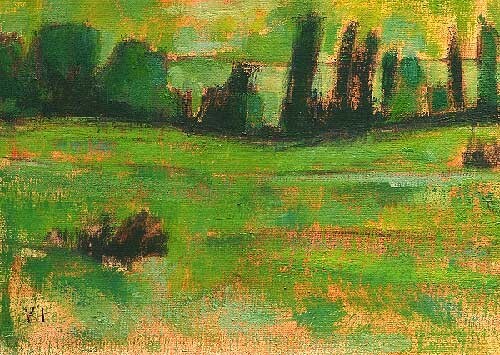 This entry was posted in Landscape Paintings and tagged 4 x 6 inches, boise, farm, green, Idaho, landscape, oil on linen on panel, trees on August 19, 2015 by Kevin. Here’s one from when I went to visit my aunt in Boise. I debated whether I should post this painting because it’s right on the edge of work I think is complete enough, vs work that is only a study. But I like it like this. 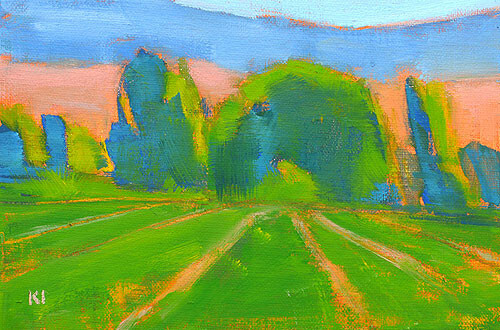 This entry was posted in Landscape Paintings and tagged 5 x 7 inches, boise, farm, Idaho, kevin inman, landscape painting, oil on linen on panel on August 1, 2015 by Kevin. The farm behind my aunt’s house in Boise. 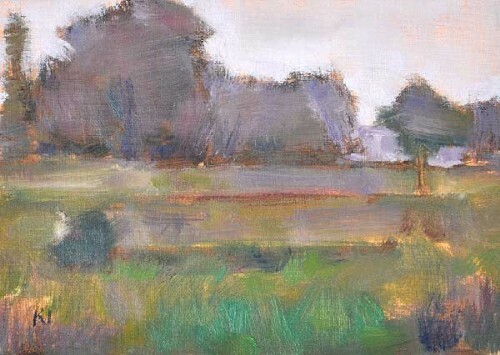 This entry was posted in Landscape Paintings and tagged 5 x 7 inches, boise, farm, fog, Idaho, landscape, oil on linen on panel, summer on July 15, 2015 by Kevin. Behind my aunt’s house in Boise. 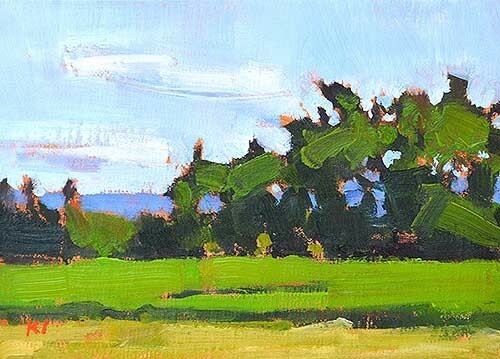 This entry was posted in Daily, Landscape Paintings and tagged 5 x 7 inches, boise, farm, Idaho, landscape painting, oil on linen on panel on July 14, 2015 by Kevin. 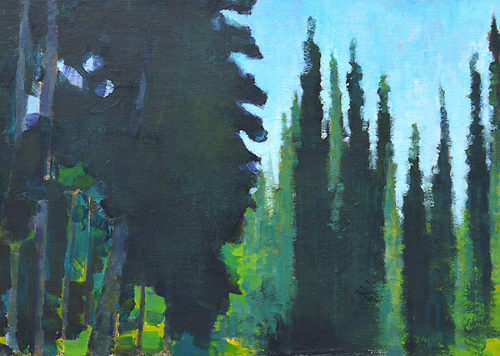 This entry was posted in Landscape Paintings and tagged 5 x 7 inches, boise, green, Idaho, landscape painting, oil on linen on panel on July 2, 2015 by Kevin. In real life, it was a carpet of blue flowers. Just needed a rosy-cheeked child in a sunbonnet to attain the status of total cliche. 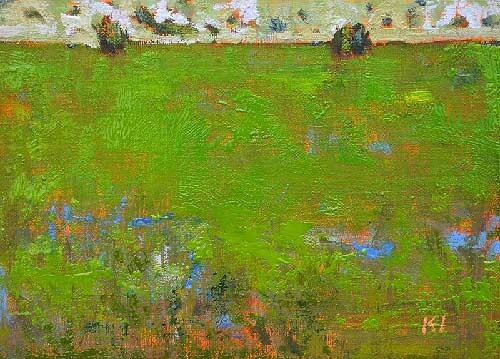 This entry was posted in Landscape Paintings and tagged 5 x 7 inches, boise, field, green, Idaho, oil on linen on panel on June 30, 2015 by Kevin. On a hiking trail in Boise. 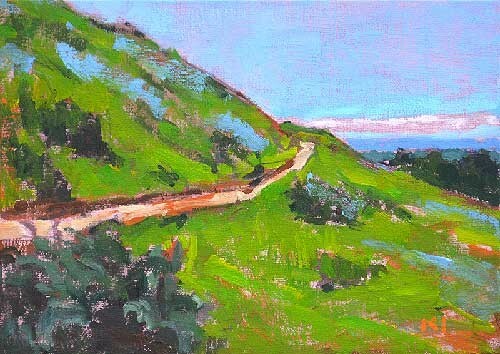 This entry was posted in Landscape Paintings and tagged 5 x 7 inches, boise, hiking trail, Idaho, landscape painting, oil on linen on panel on June 29, 2015 by Kevin. 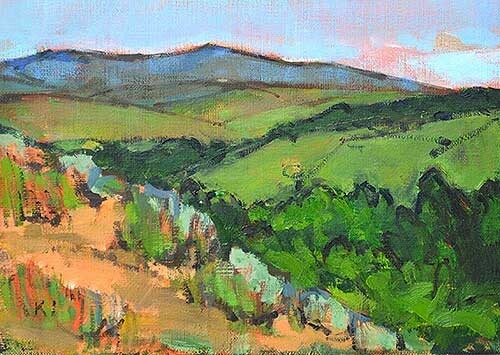 This entry was posted in Landscape Paintings and tagged 5 x 7 inches, boise, farm, green, Idaho, landscape, mountain, oil on linen on panel on June 24, 2015 by Kevin. I loved the vistas. Blue mountains all around. 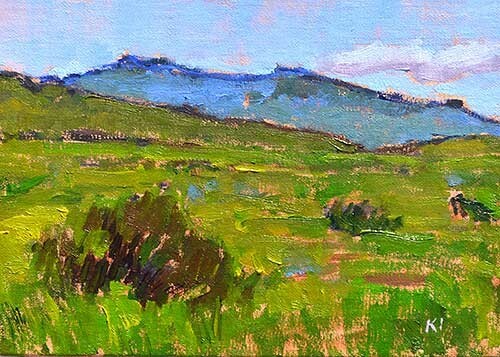 This entry was posted in Landscape Paintings and tagged 5 x 7 inches, boise, Idaho, landscape painting, mountains, oil on linen on panel on June 22, 2015 by Kevin. Idaho has great scenic beauty and I truly enjoyed that. Coming from San Diego, I was shocked at the whiteness of the population (I was told it’s called whiteaho) and disappointed (yet vindicated) by the local craft beer. 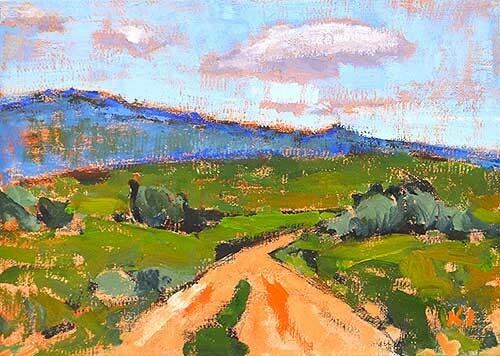 This entry was posted in Landscape Paintings and tagged 5 x 7 inches, boise, Idaho, landscape painting, mountains, oil on linen on panel on June 21, 2015 by Kevin. Really enjoyed my first trip to Idaho. Beautiful place. 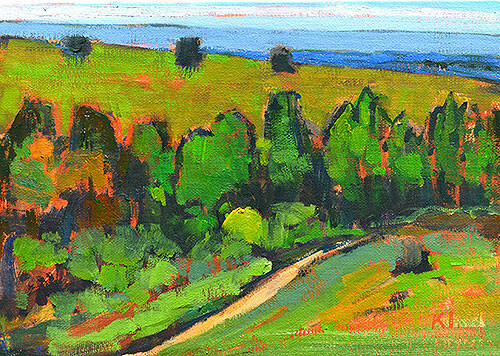 This entry was posted in Landscape Paintings and tagged 5 x 7 inches, boise, farm, green, Idaho, landscape, oil on linen on panel on June 19, 2015 by Kevin. From my trip to Boise. It’s very pretty there and the landscape is super accessible via hiking and bike paths. 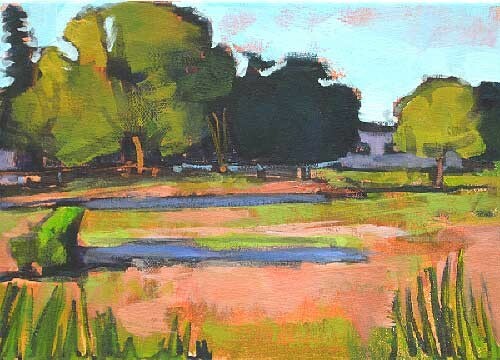 A great place to paint. 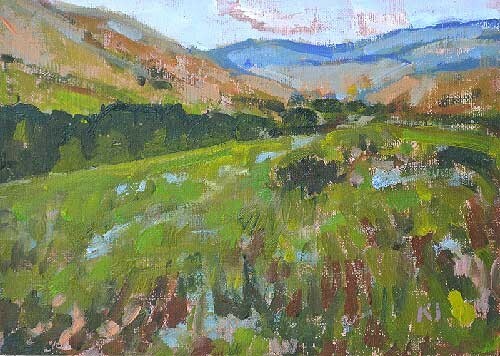 This entry was posted in Landscape Paintings and tagged 5 x 7 inches, boise, green, Idaho, landscape painting, mountains, oil on linen on panel on June 18, 2015 by Kevin. From my recent trip to Boise. 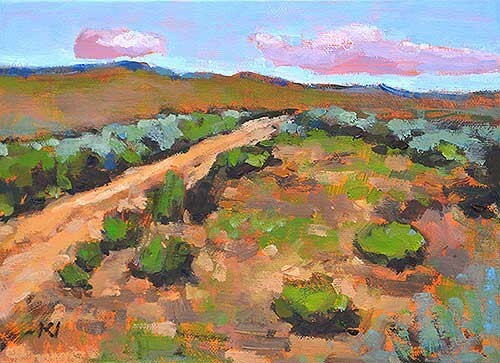 This entry was posted in Landscape Paintings and tagged 5 x 7 inches, boise, Idaho, landscape painting, oil on linen on panel on June 15, 2015 by Kevin. This was near my cabin, down PRIVATE ROAD NO TRESPASSING. Stressful stuff, let me tell you. 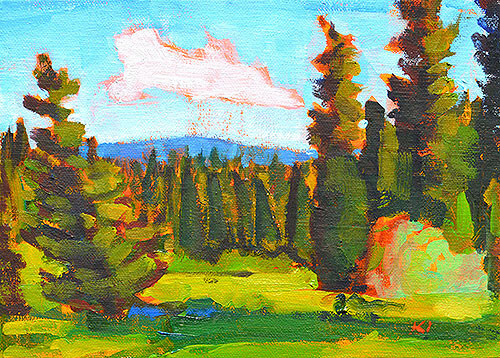 This entry was posted in Landscape Paintings and tagged 5 x 7 inches, boise, forest, Idaho, McCall, meadow, oil on linen on panel on June 13, 2015 by Kevin.